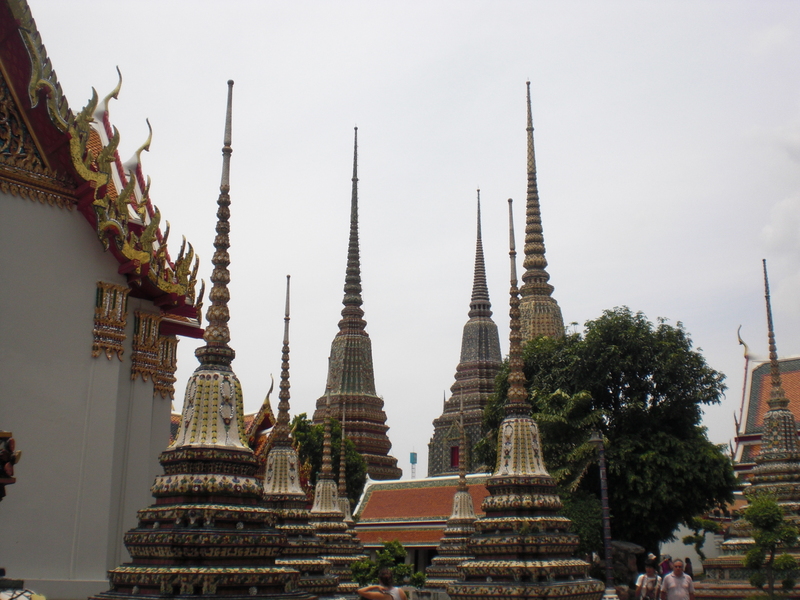 A trip to Thailand wouldn’t be complete without a visit to the Grand Palace, the Wat Arun, and Wat Po. 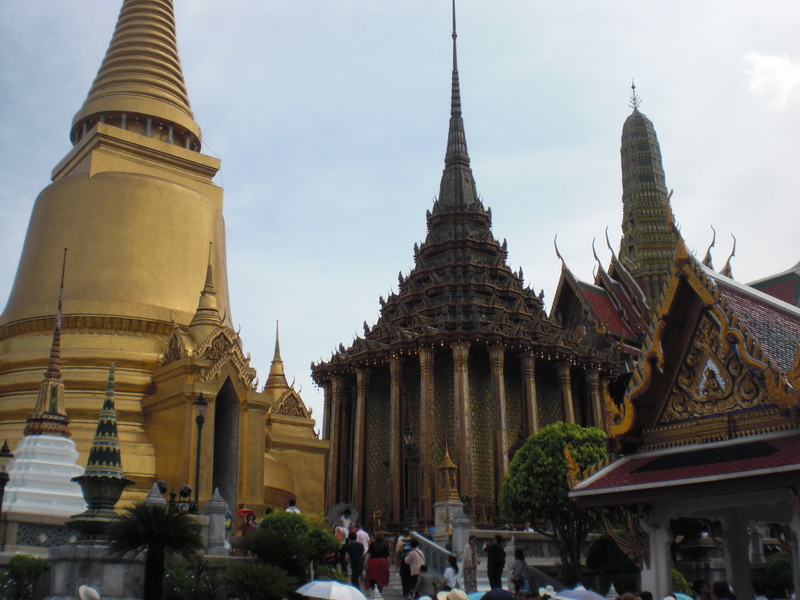 The three are some of Thailand’s most important cultural sights, a look into the country’s beautiful past and amazing heritage. The three locations are near each other so a day trip for these wonders are ideal, with enough time to go elsewhere after. 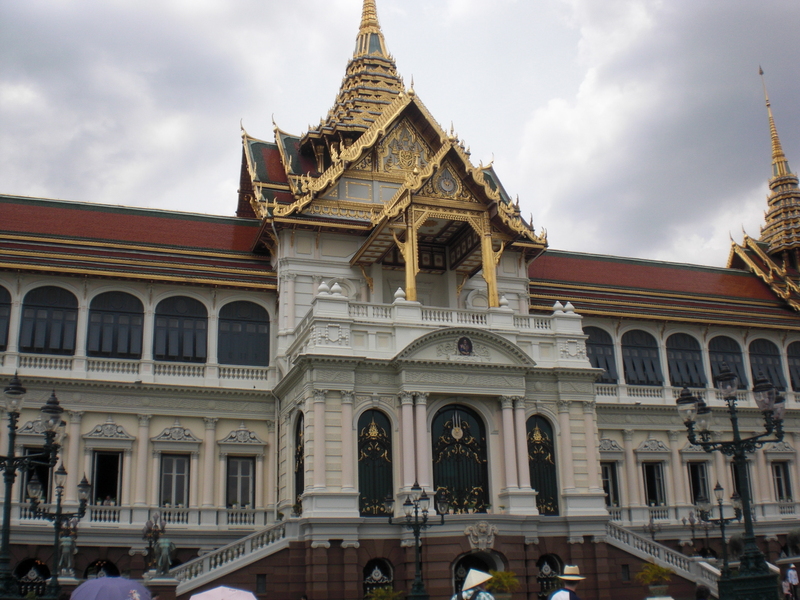 The Grand Palace is a large complex in Bangkok which served as the official residence of the King of Thailand since from 1782 to 1925. 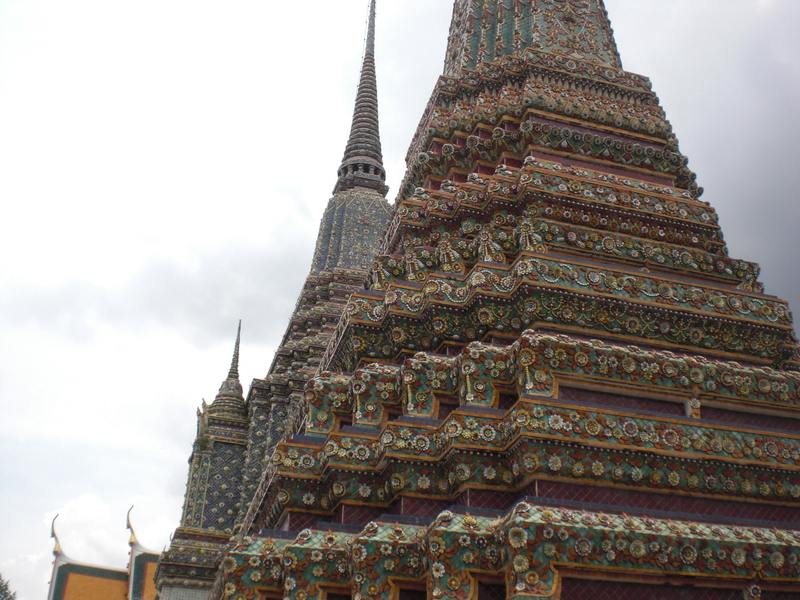 It is an opulent masterpiece with turrets, statues, and temples, in the most fascinating colors and designs. 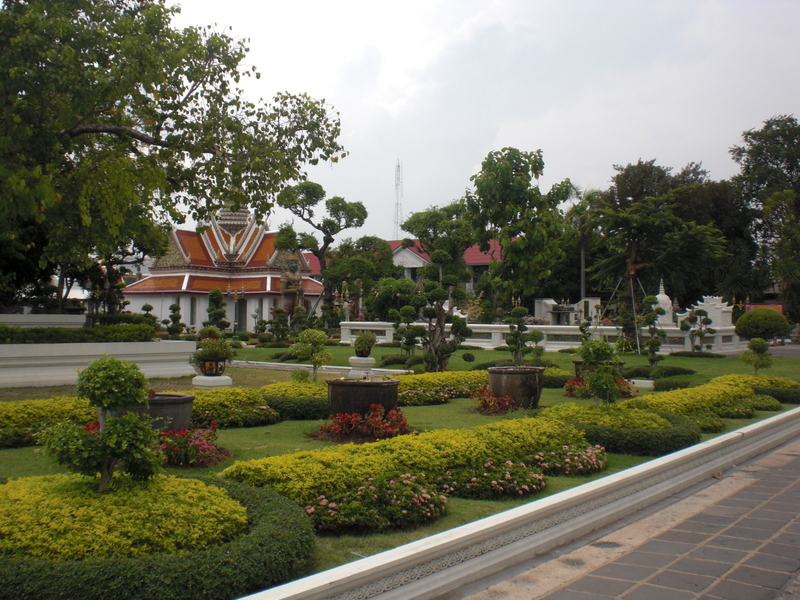 Standing in the palace grounds where the kings of the country once roamed overwhelmed me that I felt like passing out. It could have been Stendhal Syndrome, but also possibly the heat. 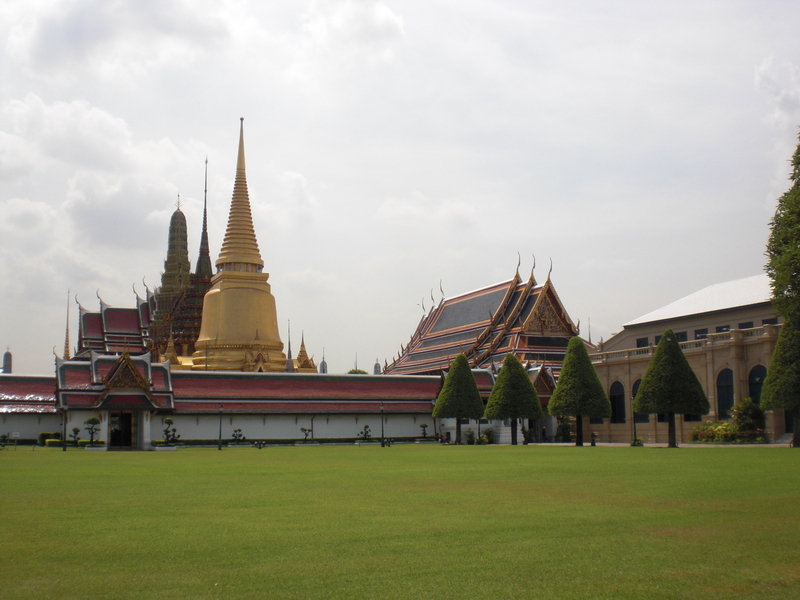 The Grand Palace is partially open to the public because the King has relocated, but even the accessible parts of the land were huge. It was amazing to see such beautiful architecture and design, and I was happy that the government has taken steps to maintain the grandeur and history of the place. 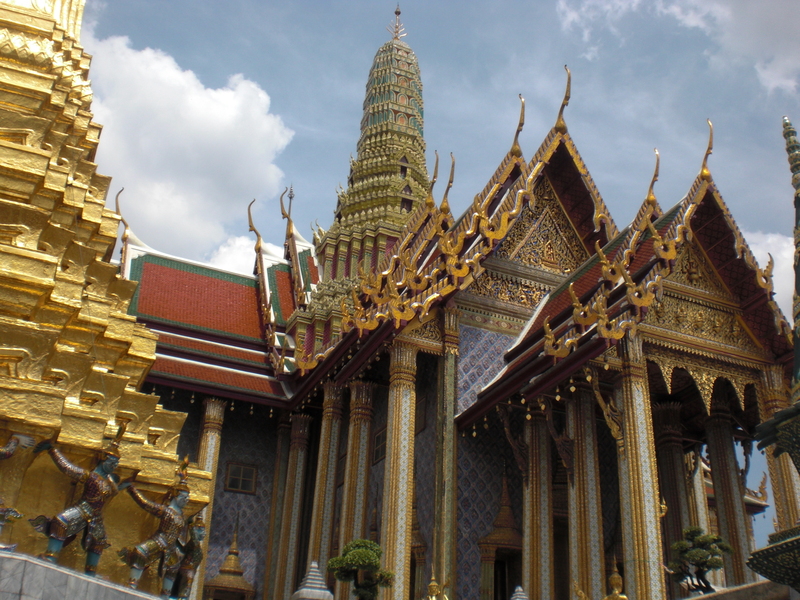 Visiting the Grand Palace is like stepping into the past, a mini-city of decadence and luxury in Southeast Asia. 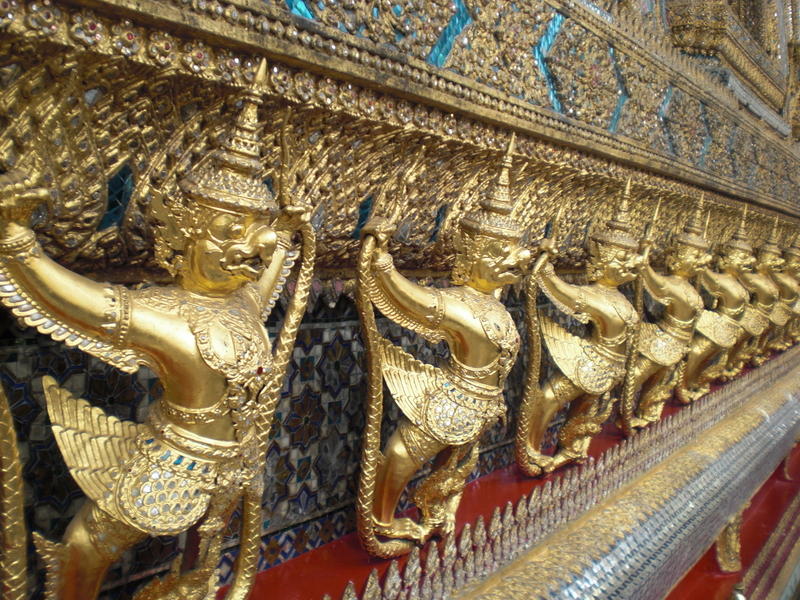 Words cannot describe just how beautiful and breathtaking the place is, all I could say is that the Grand Palace should be on a culture vulture’s list of places to visit in Thailand. 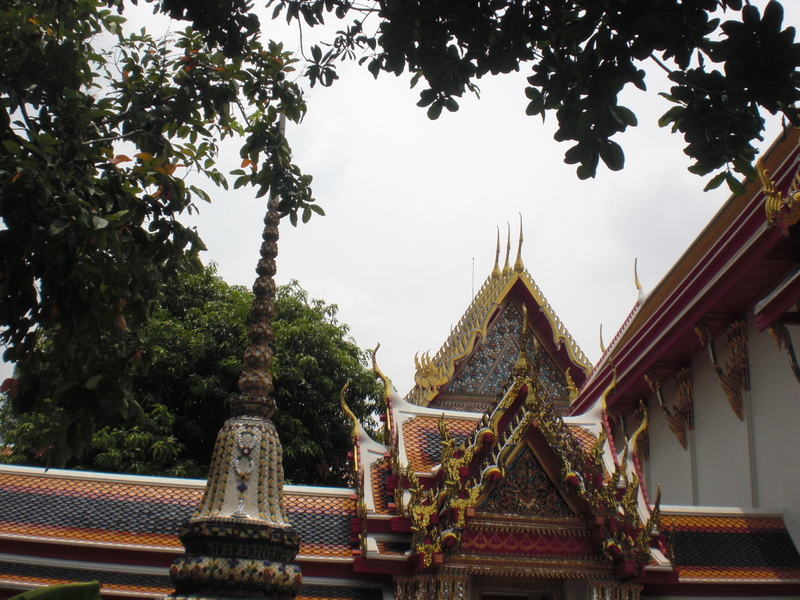 I also got to pray to the Buddha and pay my respects (through a triple obeisance, or three bows), as well as perform a wai phra, a traditional way of making an offering to the Buddha. Counteracted any positive effect it could have on me by giving in to consumerism and purchasing a copy of What The Buddha Taught. Ah, well. 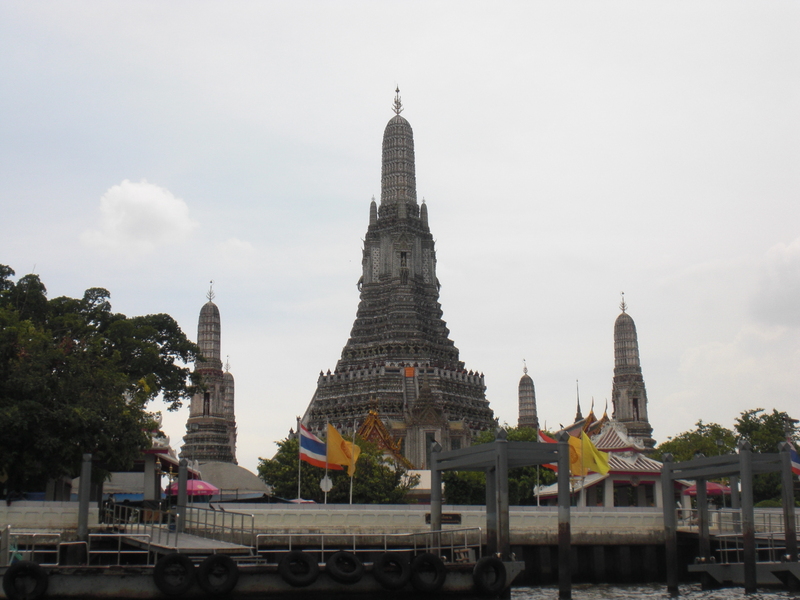 The Wat Arun is one of Thailand’s most recognizable landmarks, what may be Bangkok’s version of the Eiffel Tower (according to me, at least). 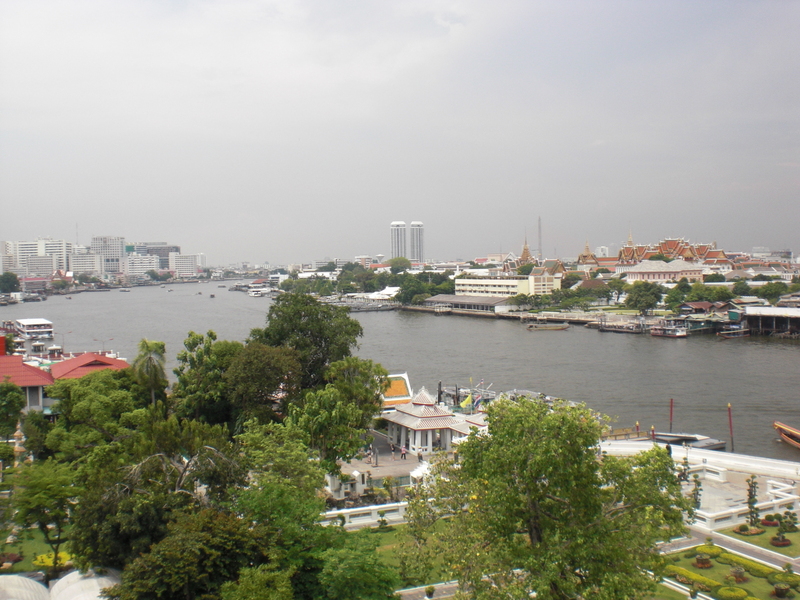 It is located along the Chao Phraya River, what many consider the Venice of the East, or the river responsible for last year’s devastating flood. 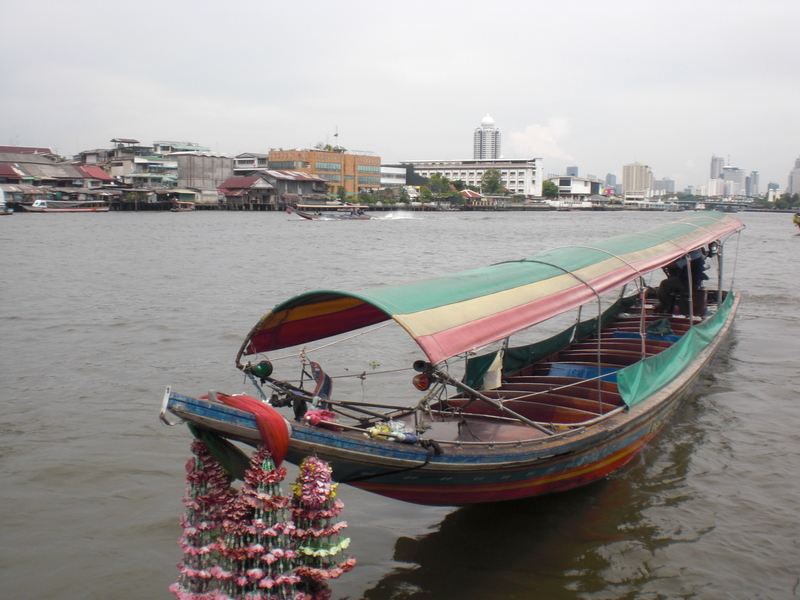 We reached the Wat Arun via a klong, an Asian version of Venice’s gondolas. 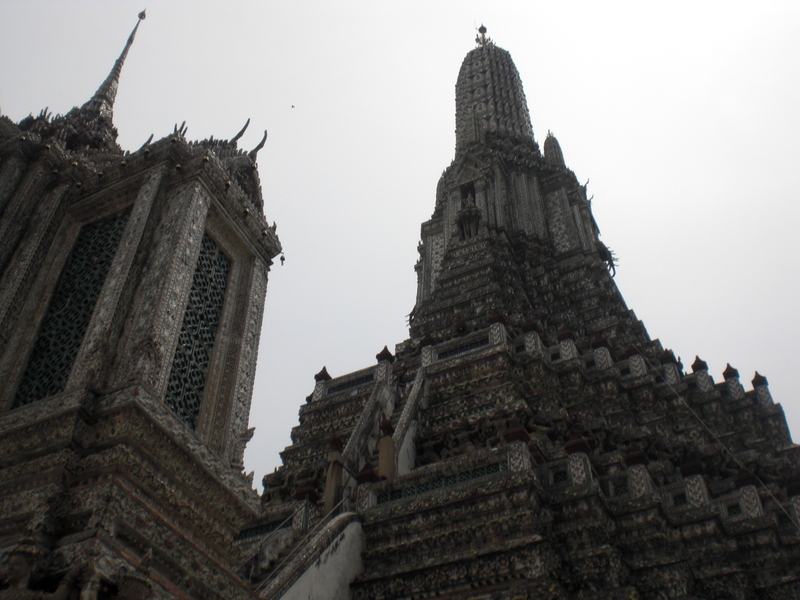 Basically, a wat is a temple and the Wat Arun was founded by King Rama I, the first king of Thailand, in the 19th century. 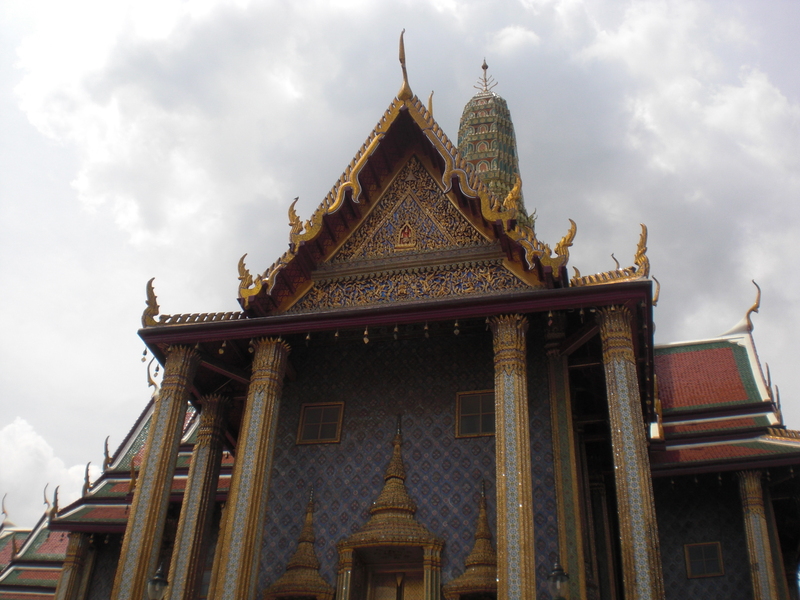 The Buddha image at the inner temple serves as the focal point and is said to have been moulded by King Rama II, whose ashes are buried beneath the image. 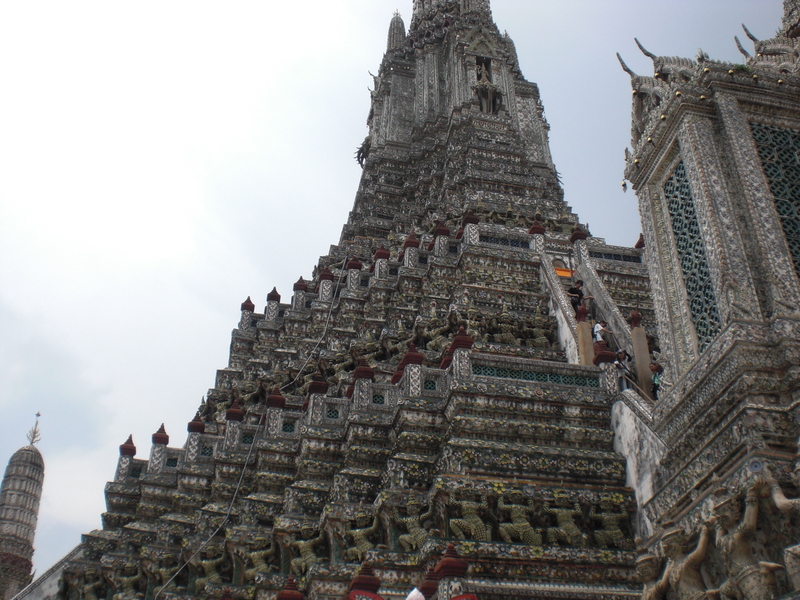 Personally, the most memorable part of Wat Arun is the climb to the middle prang. The view is spectacular and the climb is incredibly steep, making the ascent a really heart-wrenching experience. I had to tightly grip the handlebars (thank you, Thai government) while I made my way up. Going down was just as scary, but my brother and I made it down safely. 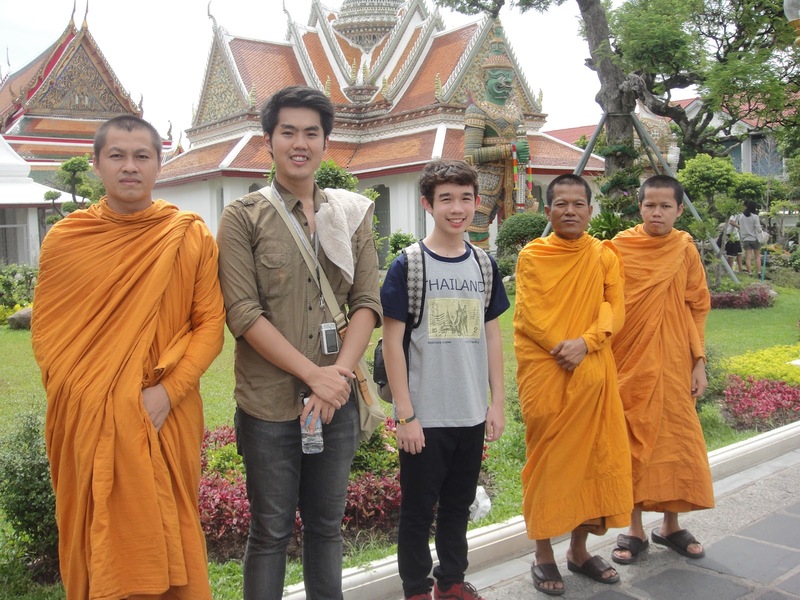 We also got to meet several monks (my mother insisted on having our pictures taken with them), who were incredibly nice. I wonder what it must be like to be a monk, giving up all material things. I’ve always been interested in Buddhism, but I don’t think I’m ready for the steps necessary to achieve enlightenment. 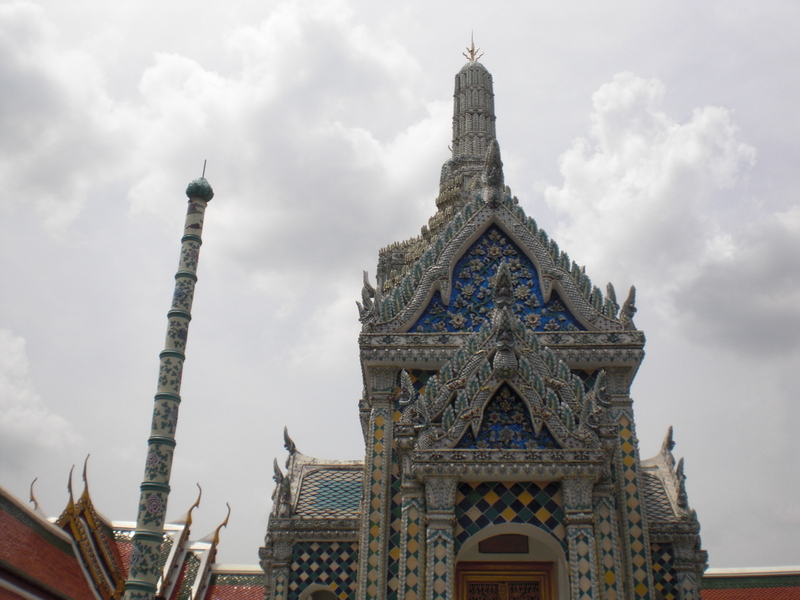 The same day, we also got to visit the Wat Po, where the famous Thai massage was invented. 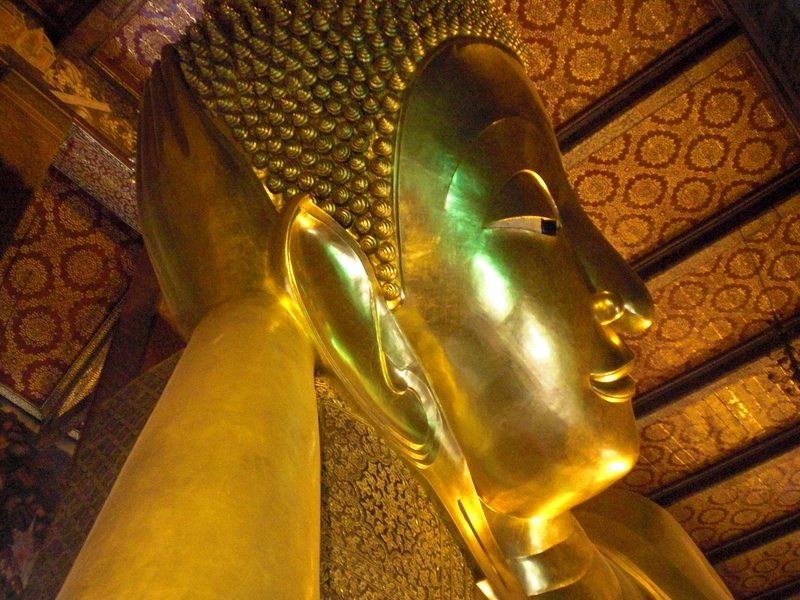 It’s not as grand or revered as the Wat Arun, but it has its place by holding one of the largest single Buddha image and being the birthplace of Thai massage. 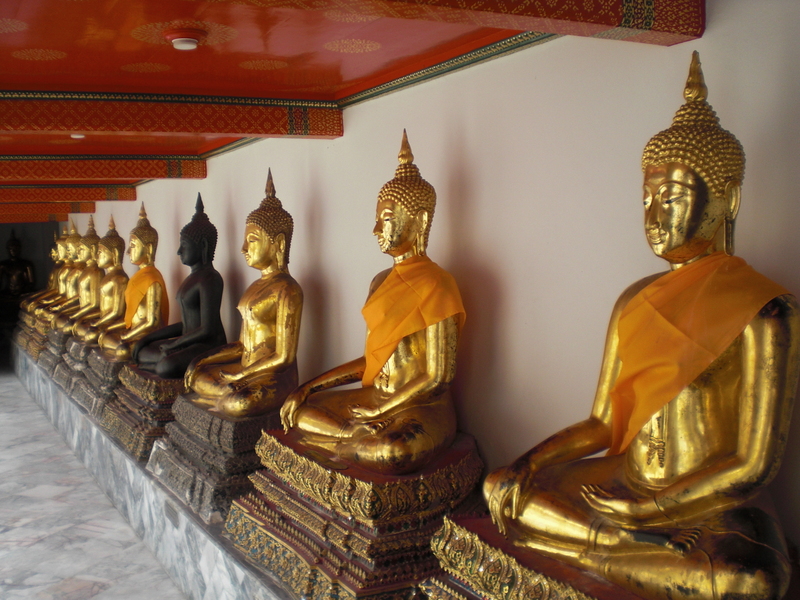 It doesn’t have much visitors, which is just as well because you could get a quiet massage in the temple. It’s a bit pricey compared to massages outside and not as good, but the experience of having one in the place where it was invented was something worth remembering. 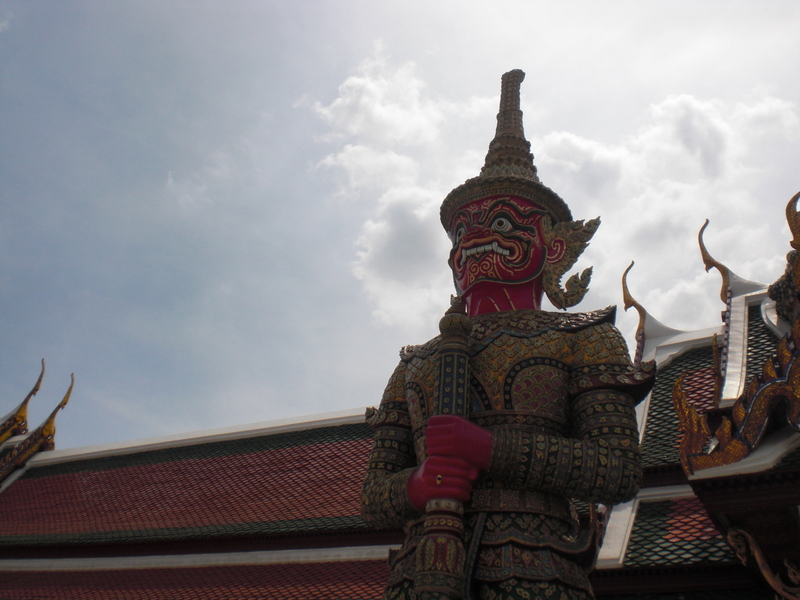 A trip to these three places is highly recommended because it shows Thailand in the way it’s supposed to be seen, a unique culture with magnificent architecture, a far cry from the cosmopolitan areas of Bangkok. It gives it character, a sense of identity, in a world where cities are starting to look the same, losing its pride, its individuality, and its soul.